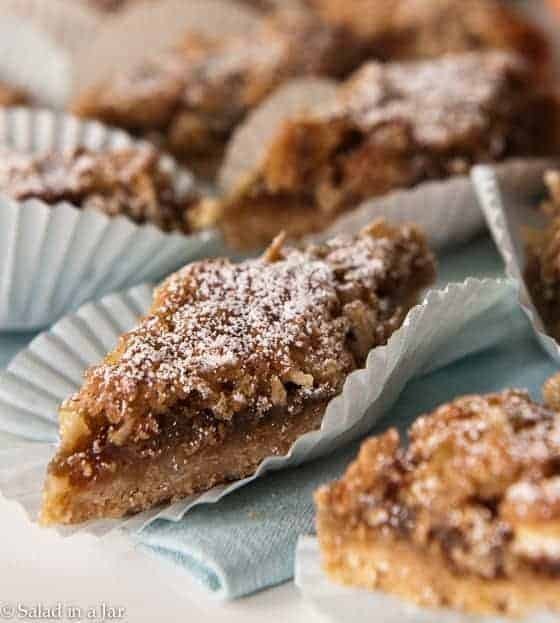 If a coconut-pecan pie married a shortbread cookie, the offspring might look like these Chewy Coconut-Pecan Bars. Top with a browned butter icing for a fabulous sugar-spiked taste experience. Don’t miss the mini-tutorial for how to easily line a baking pan with aluminum foil for a clean and neat removal of the cookies and quick clean-up. 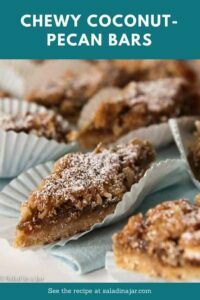 While wasting time on the web one day, I realized that this recipe is quite similar to cookies many know as “Dream Bars.” Who knew? Helen Corbitt first introduced me to a form of these cookies in her recipe, “Chinese Chews” published in her “Cooks for Company” cookbook. When I worked at the Greenhouse (a luxury health spa from years ago), everybody went crazy for them. However, as I’ve gotten older (ahem,) I feel the need to lighten up on the sugar. Consequently, my approach is often (but not always) an effort to preserve the flavor and texture of a recipe without destroying my waistline. Perhaps you can relate. To that end, this recipe still has a shortbread layer but is not as thick as most dream bar recipes. Turn pan upside down and fold non-stick foil over it with the dull side down. Remove foil carefully and place it inside of pan so the dull side is now facing up. Press into corners and sides to conform to pan shape. 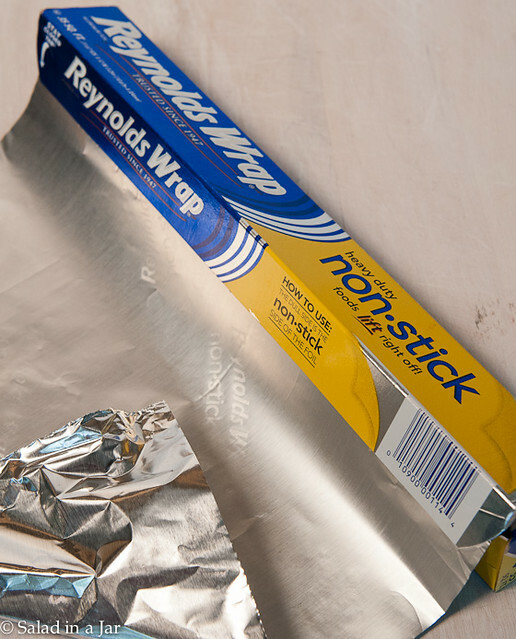 Do you know about Reynolds Wrap non-stick aluminum foil? You don’t have to use non-stick foil to make these cookies, but I highly recommend it. Without it, they will still taste wonderful, but you will enjoy the cutting, serving, and clean-up process oh so much more. This miracle foil resides in my kitchen drawer at all times. If you dread washing those sticky, gooey, and hard-to-scrape pans, this magic foil is a lazy dishwasher’s saving grace. It also makes removing the entire uncut batch from the pan crazy easy. After cookies have cooled slightly, carefully lift the cookies out of the pan using the foil as handles. Then peal the foil away from the cookies. Without the confines of the pan, even the first cookie you cut can be perfect. If you make brownies, blondies, or any other kind of bar cookies, non-stick foil is your friend. For a few extra pennies, it’s worth it. Other uses for non-stick aluminum foil? 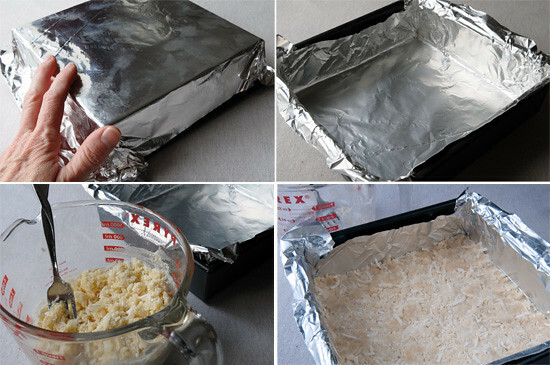 Cover cheese-topped casseroles so the melted cheese won’t stick and be pulled off with foil is removed. Cover cookie sheets for roasting vegetables and potatoes, especially if you plan to sprinkle them with cheese. In case you are thinking you can just use regular foil sprayed with vegetable oil….well, yes, you could. But for some unexplained reason, it doesn’t work as well according to Cooks Illustrated. You might want to hide this foil so the rest of the family doesn’t use it or waste it thinking it’s just like any other foil in the drawer. It is considerably more pricey than regular aluminum foil. Serve these cookies plain, with powdered sugar, or dress them up with a browned butter glaze. Cut them in diamonds for a party, squares for the family, or let the midnight raiders dig them out of the pan. Go fancy and ice with browned butter glaze. 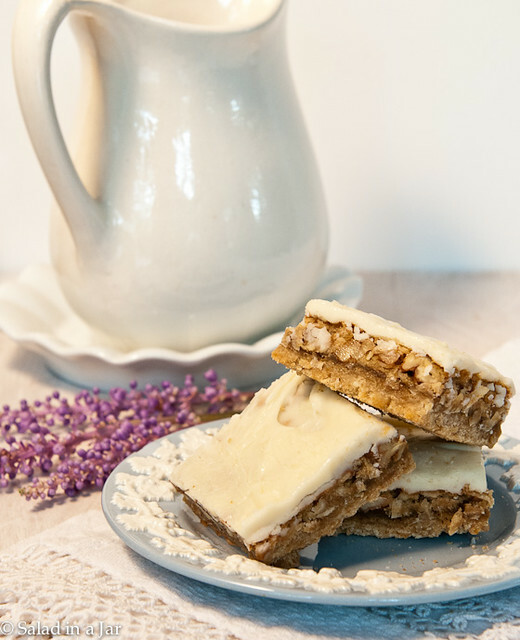 The shortbread base is the same used in my Easy Toffee Bars and Meyer Lemon Yogurt Squares. 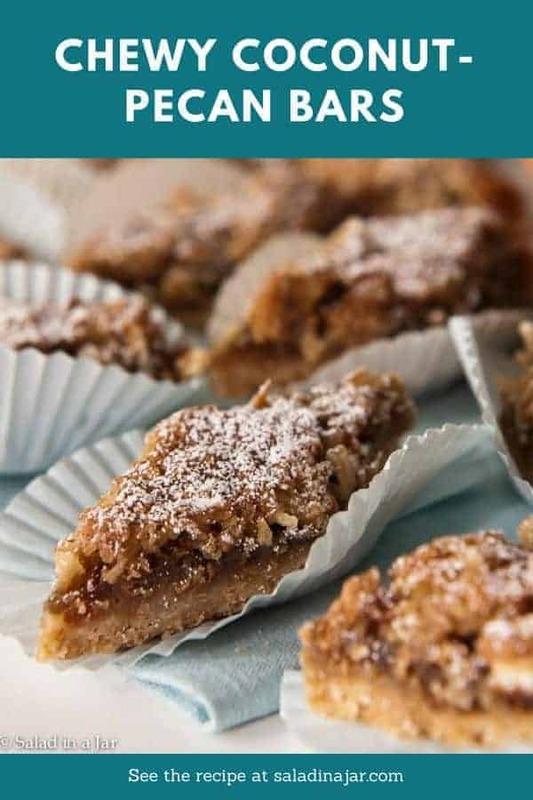 The pecan-coconut layer is an adaptation from the Chinese Chews printed in Helen Corbitt’s Cooks for Company. If a pecan pie married a shortbread cookie, their offspring might look like these rich and chewy bars. 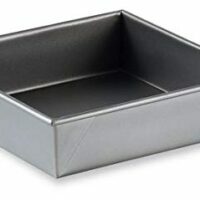 Prepare 8x8 inch square pan by lining with foil (see picture in post), parchment paper, or spraying with oil/butter mixture such as Baker's Joy. Combine flour, brown sugar, and salt in a small bowl. Add melted butter and lightly mix with a fork. Press evenly into prepared pan. Bake at 350 degrees for 12 minutes or until lightly browned around the edges. In medium bowl, beat eggs until foamy. Gradually add brown sugar to eggs and beat until thick. Stir in remaining ingredients. Spread over baked shortbread layer. Bake for 15 minutes at 350 degrees F.
When cool, turn the entire baked cookie out onto a flat surface and peel off paper or foil if using. 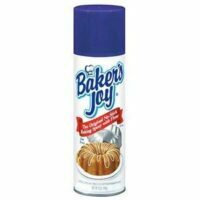 Flip over and sprinkle with powdered sugar or ice with Browned Butter Glaze. Cut in squares or diamonds as you prefer. Microwave butter in a medium-sized microwave-safe bowl for 3 minutes (or heat on low in a skillet on the stove) until it just starts to turn brown. Add cream or milk and combine. Add sugar and mix until smooth. Add vanilla if using. If icing is too thick, add more milk. If too thin, add more sugar. 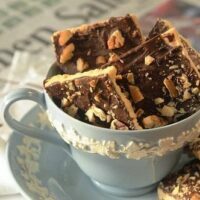 Posts Related to Chewy Coconut Pecan Bars and "How to Line a Baking Pan"
These layered bars have a shortbread base covered with melted chocolate chips and chopped pecans. 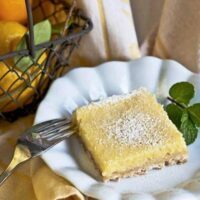 Lemon Bars with a coconut shortbread base and a creamy lemon layer over the top. Recipe calls for using the entire lemon (minus seeds)--no grating or squeezing required. 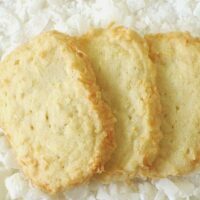 A crispy shortbread cookie for coconut lovers. 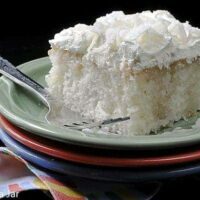 A travel-worthy cake for coconut lovers. 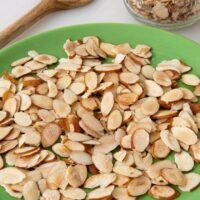 Instructions for quickly toasting nuts or coconut to be used in baking or salads. Previous Post: « Reader Question: How Much Starter Do You Really Need To Make Yogurt? Did you use unsweetened or sweetened coconut? Just made these and they are oh so yummy! My glaze didn’t look as smooth as yours but I sure did like the tip on the non stick foil. Thanks Scooter! About the smooth glaze, maybe you just didn’t beat it quite enough to get all the lumps out. Sometimes a little more butter helps–I’m just always trying to keep the butter to the minimum it takes to get good results. This is brilliant! I especially like how you molded it to the pan on the outside first. And I liove me some coconut and pecans! Pinned! I LOVE non-stick foil and use it for everything, even if something I’m making probably won’t stick. And yum to these bars! Well, dang! I’ve got that on my grocery list! And this recipe on my to do list! It sounds just up our alley in what the family likes. Yogurt is in the micro as we speak. Since I try to utilize components that we have around all the time I use plain ol grocery milk and it does take closer to 18 hours then 8 but it works great which is the thing! Thank you for all your recipes!!! I’m a faithful lurker!